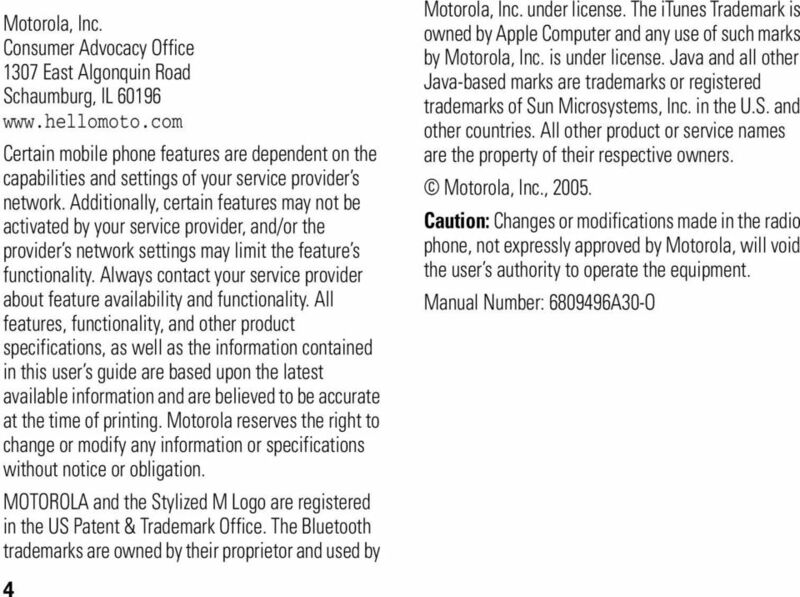 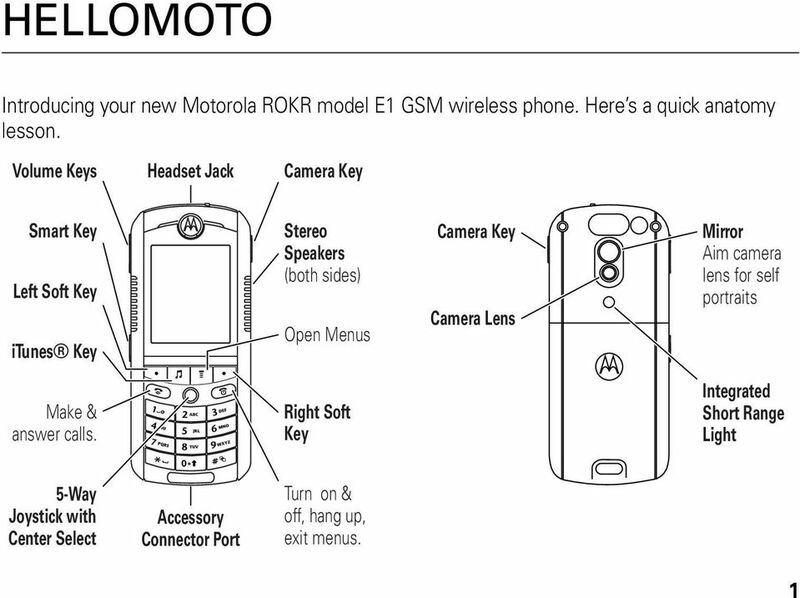 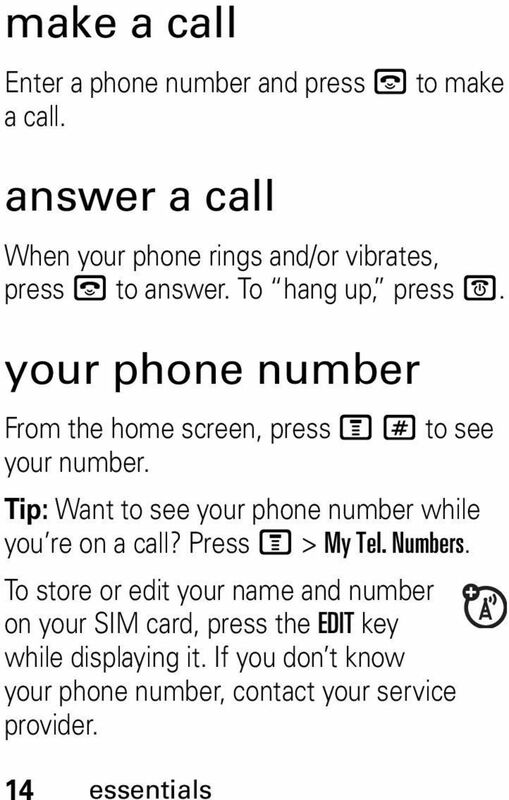 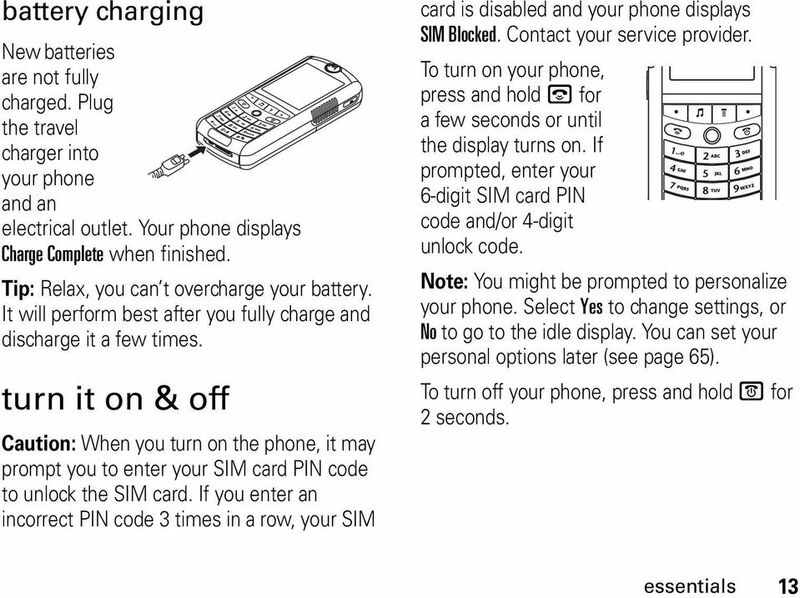 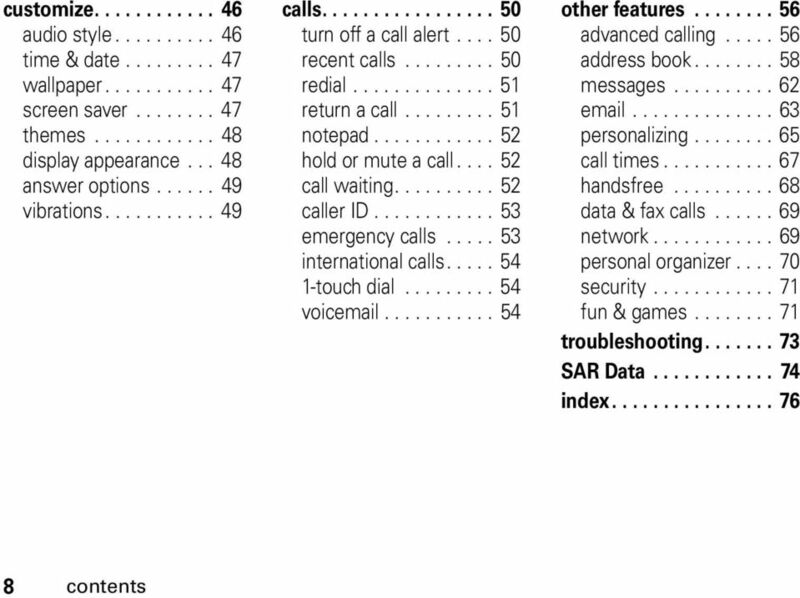 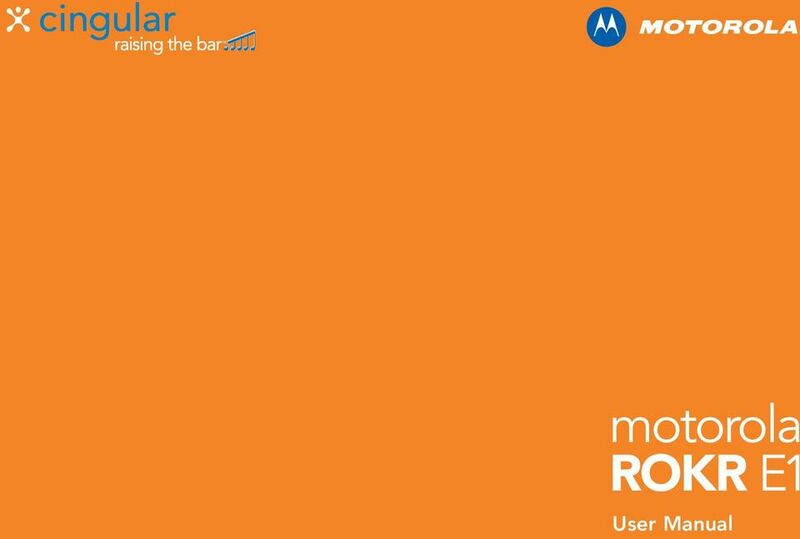 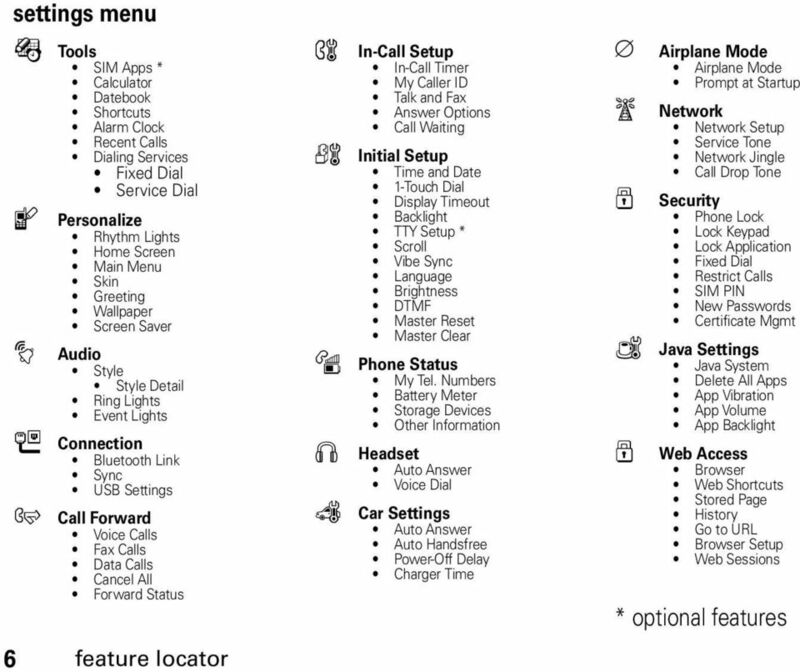 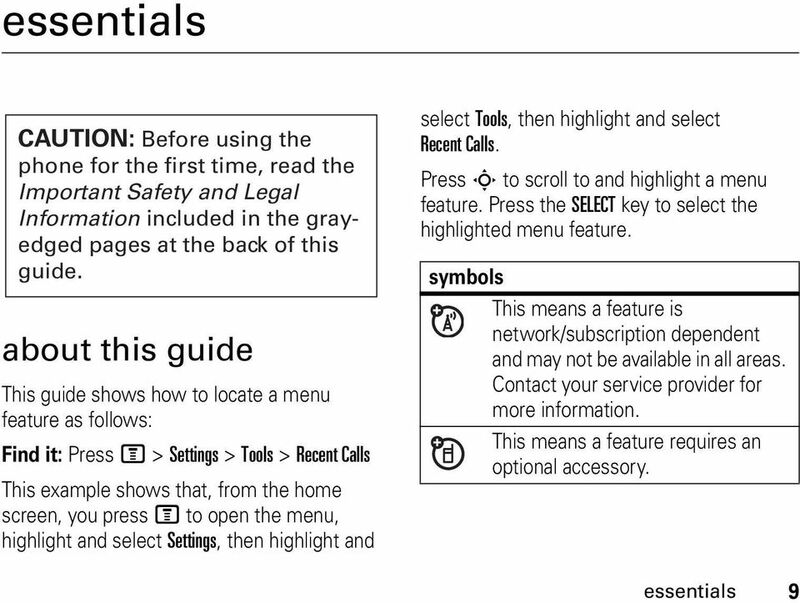 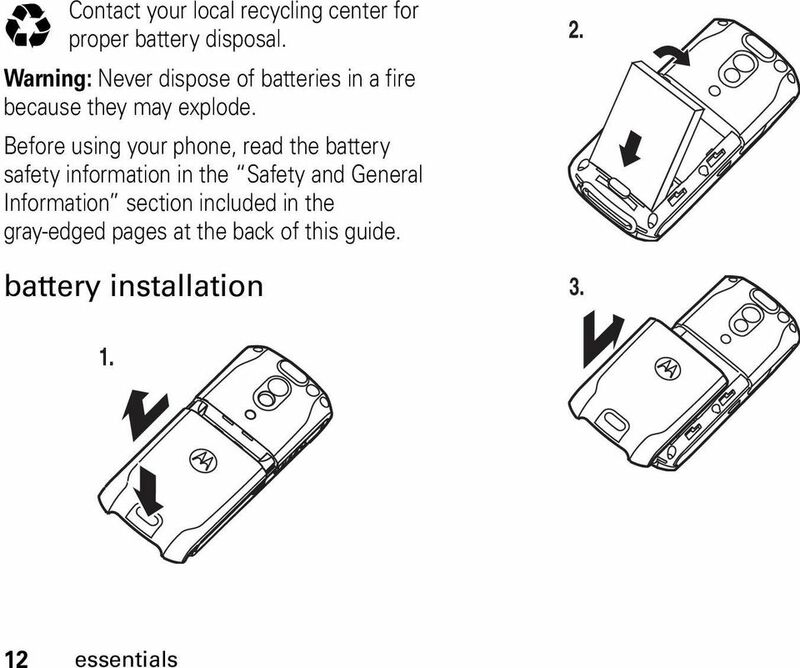 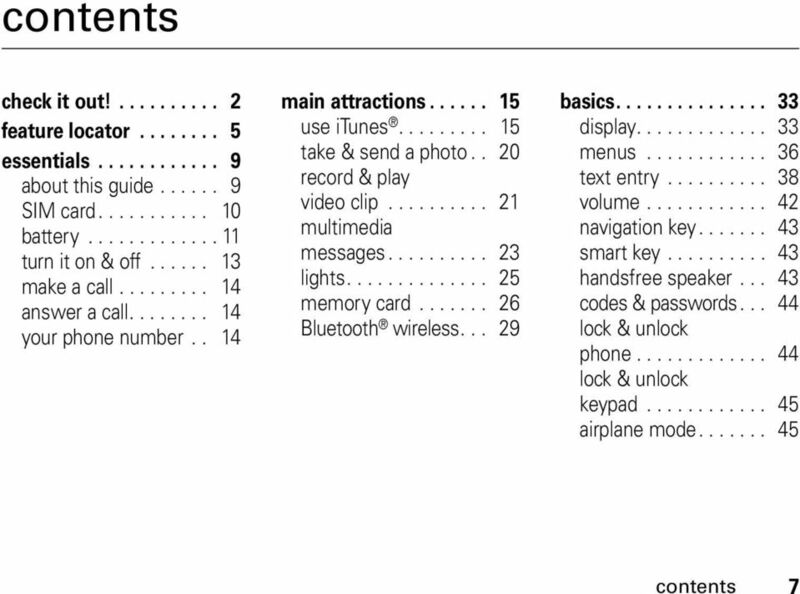 Download "motorola motorola ROKR E1 ROKR E1 User Manual"
4 check it out! 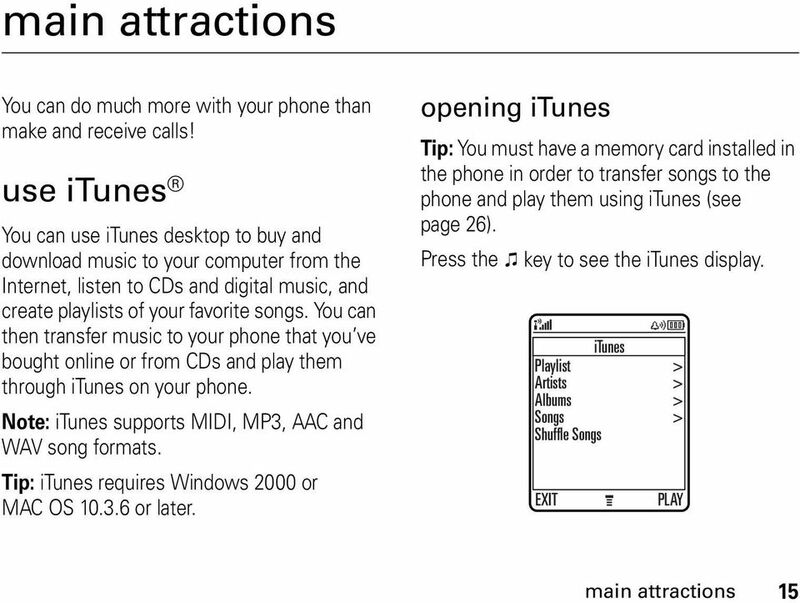 features transfer music files Use the memory card as the default USB connection: M > Settings > Connection > USB Settings > Memory Card On your computer, open itunes and connect your phone to your computer using the included USB cable. 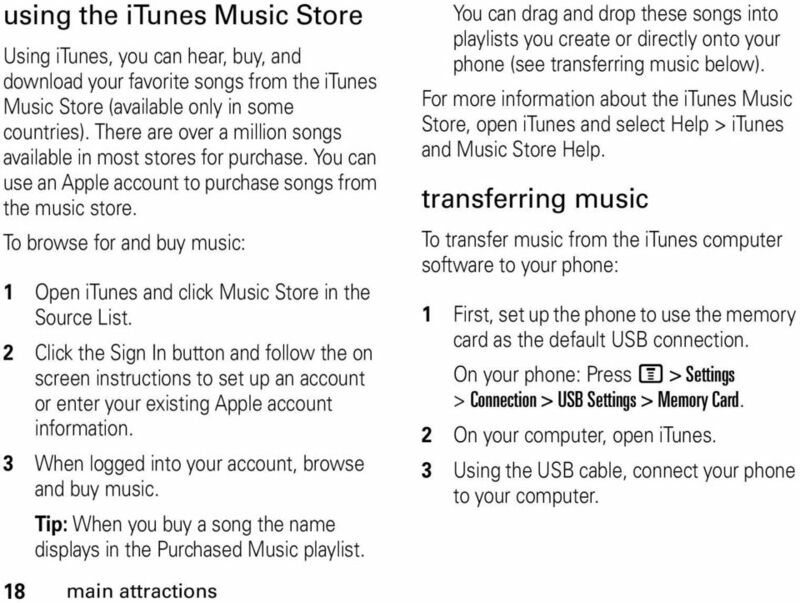 Then drag and drop songs in the itunes Source list to your phone. 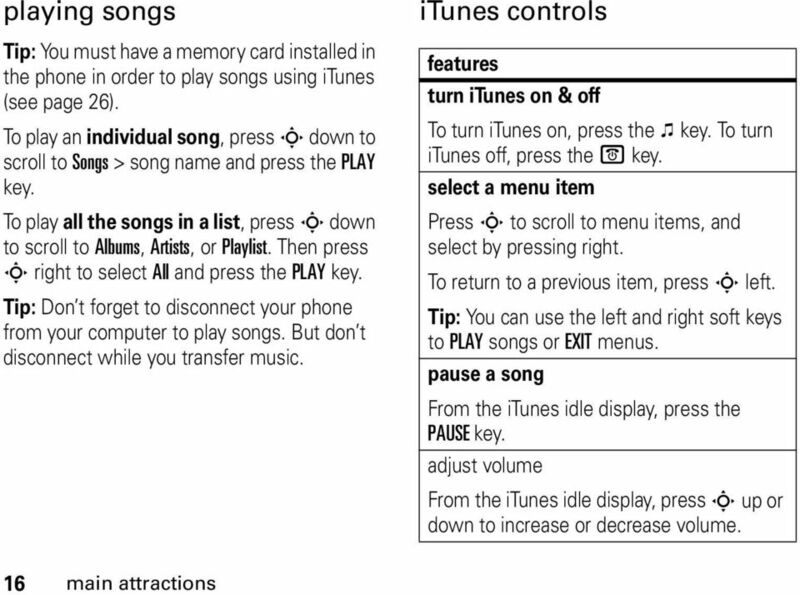 Tip: You must have a memory card installed in the phone in order to transfer songs to the phone and play them using itunes. 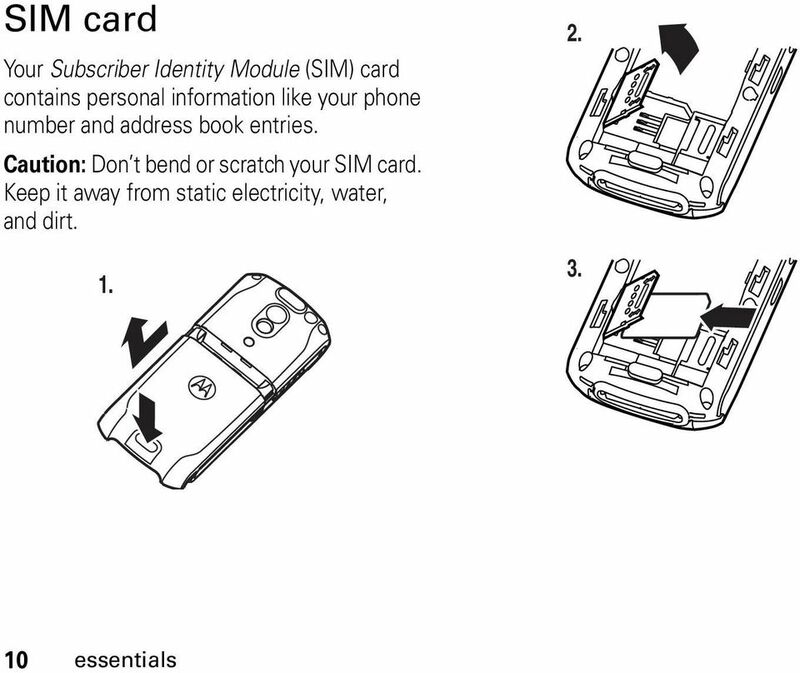 Your carrier may have preinstalled the memory card; you can verify this by checking the memory compartment (see page 26). 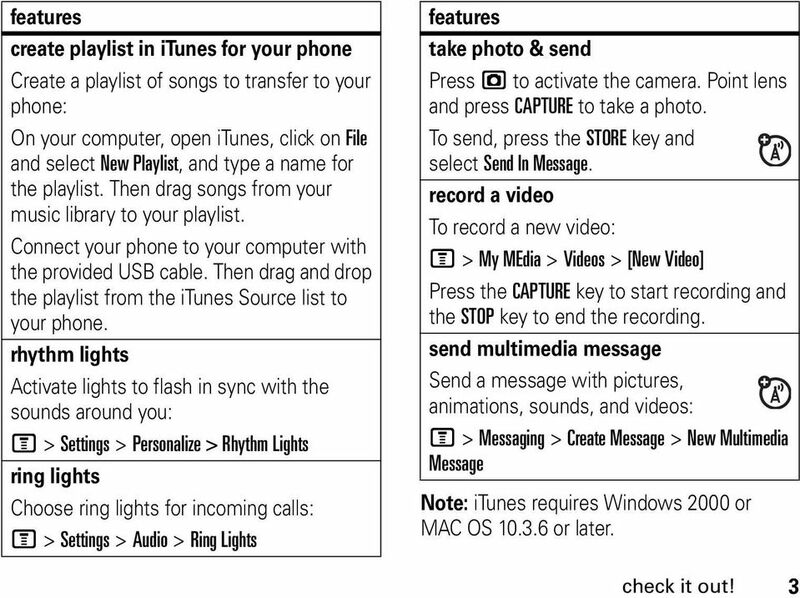 features play music Play a song on your phone using itunes: To play an individual song, press S down to scroll to Songs > song name and press the PLAY key. 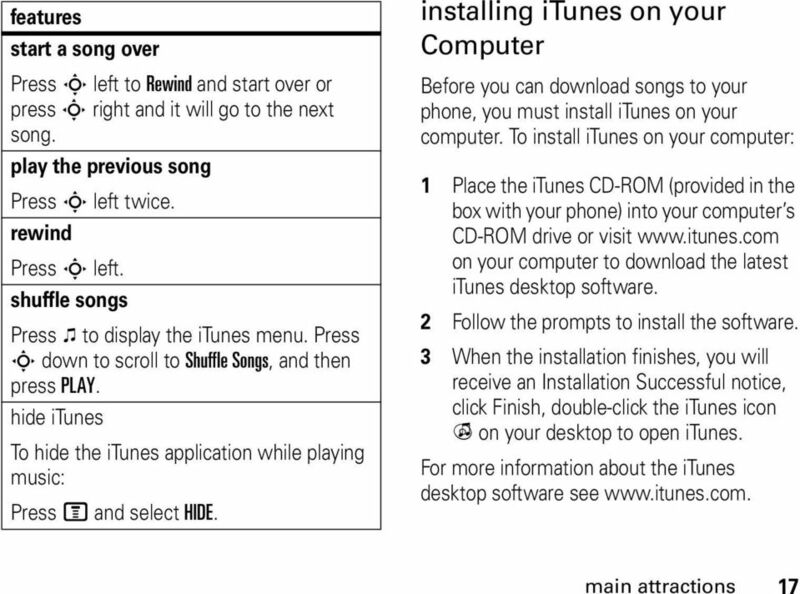 Tip: Disconnect your phone from your computer to play songs. 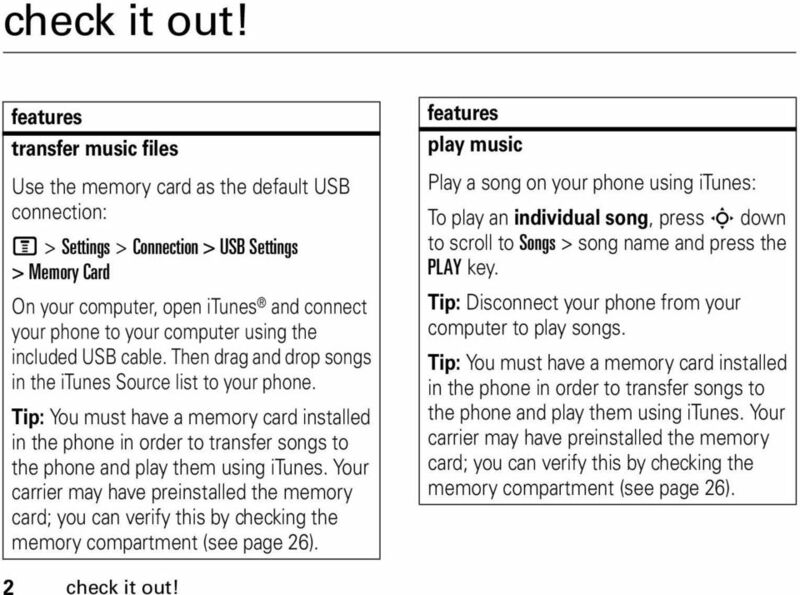 Tip: You must have a memory card installed in the phone in order to transfer songs to the phone and play them using itunes. 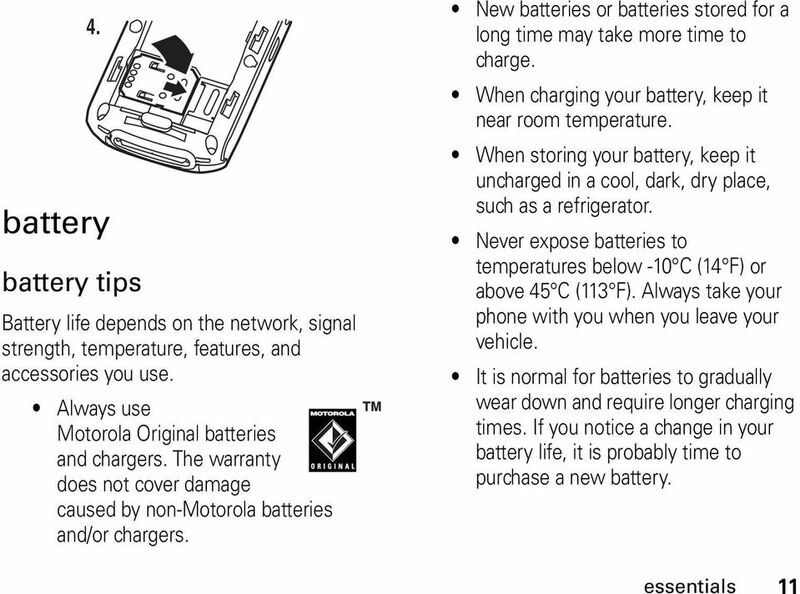 Your carrier may have preinstalled the memory card; you can verify this by checking the memory compartment (see page 26). 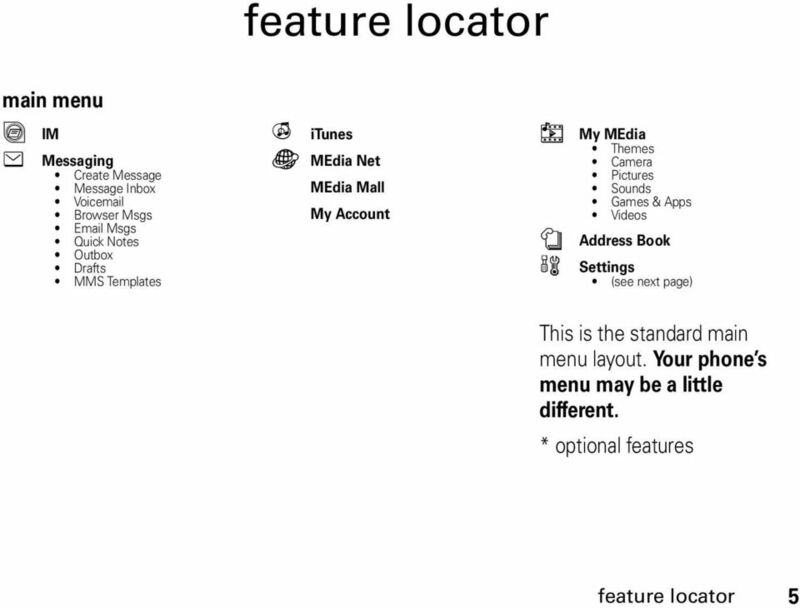 2 check it out!